Dr. Gavin Setzen provides comprehensive care to patients of all ages with medical and surgical problems involving the ears, nose, throat and related head and neck structures. Dr. Setzen obtained his medical degree in Johannesburg, South Africa. After spending two and a half years in General Surgery at North Shore University Hospital, Cornell University Medical College, he completed a five-year residency in Otolaryngology-Head and Neck Surgery at Albany Medical Center in Albany, NY. Dr. Setzen is a diplomat of the American Board of Otolaryngology-Head and Neck Surgery (ABO-HNS) and a Fellow of the American-Academy of Otolaryngology-Head and Neck Surgery (AAO-HNS), the American College of Surgeons, the American Academy of Otolaryngic Allergy, the American Rhinologic Society and the American Head and Neck Society. Dr. Setzen is active in resident teaching, clinical research and several local and national medical and non-medical organizations. He is an Associate Clinical Professor of Otolaryngology-Head & Neck Surgery at Albany Medical Center and serves as Chief of ENT Surgery at St. Peter’s Hospital (St. Peter’s Health Partners). Dr. Setzen is the Immediate Past President of the American Academy of Otolaryngology-Head and Neck Surgery (AAO-HNS), Past Chair of the Board of Governors of the AAO-HNS and was Secretary-Treasurer of AAO-HNS. He was on the Board of Directors of the Intersocietal Accreditation Commission (IAC) – CT Division for the Accreditation of CT Laboratories nationally, and is the Past President of IAC CT. 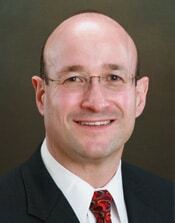 He is the Immediate Past President of the New York State Society of Otolaryngology-Head and Neck Surgery. Dr. Setzen is also involved with several not-for-profit organizations.